Description: AirVūz News recently went to Grand Forks, North Dakota to learn more about NASA's UTM testing. UTM stands for Unmanned Aerial Vehicle Traffic Management System. While only in the early stages of research and development, NASA's UTM project will revolutionize the way low altitude airspace is managed, and make flying drones safer for everyone. North Dakota is home to many different small UAS companies, which has earned it the moniker of being the "Silicon Valley of Drones" due to the rich ecosystem of businesses and opportunities. The University of North Dakota is a leader in UAS education and it's campus is home to many different drone companies, many of which have partnered with NASA for this important research. We Spoke with iSight RPV Services, Sky Skopes, and UAII just to name a few. See how they are helping to lead the way in helping NASA and the FAA make the skies safer for everyone in the future. With several large companies including Walmart, T-Mobile, and Amazon looking to the skies for their businesses - including hobbyists and several small UAS companies - the skies are getting pretty crowded. Well, to make sure everyone can fly safely NASA is working with several small UAS companies to develop a system. The UAV Traffic Management system, or UTM for short, is what NASA hopes to demonstrate, evaluate, and refine the functional designs for over the next few years. UTM technology prototypes that are developed will in turn get adopted by the FAA. June 2017 was phase 2 of the 4 phase project, in which NASA simultaneously monitored the small UAV traffic from 6 different test locations across the country. This research couldn’t be done without assistance and coordination from local UAS operators who pushed data to NASA while performing tasks like Oceanic missions, lost hiker scenario and Utility inspections. At a press briefing in Grand Forks, North Dakota we caught up with NASA Project manager Ron Johnson and asked him how the research might impact things like package delivery. UTM incorporates everything from an aircraft’s onboard sense and avoid technologies to Human Systems Integration and networked ground stations to Geo-fencing and data pushed from the UTM Partners; local companies like Sky Scopes. We spoke with Pilot in Command Andrew Schill about the data they sent over to NASA. “Sky Scopes was just one of the many UTM partners to team up with NASA. Right down the hall Doug McDonald Directs special projects at Unmanned Applications Institute International, or UAII, which teams up with other SUAS companies like iSight RPV Services to accomplish missions. Safety is paramount when coordinating between companies and their experienced Pilots. Doug- “All the operators at both UAI and ISight are commercial pilots first and foremost. Internally we do a lot of work on maintaining safe practices its above and beyond just what’s above us but actually how we do our work on the ground as well. Matt Dunlevy – “You really have to give props to NASA for doing this, The Unmanned Traffic Management Project really stands to revolutionize the way aircraft large and small is integrated into the airspace for years to come. 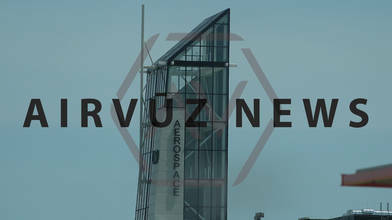 We’ll have more from the Silicon Valley of Drones coming soon to AirVuz.com. For Air Vūz News, I’m Kendall Mark.